To make lessons more engaging and to support individual learning styles, educators should consider using technology for “gamification.” Students today are growing up in a digitized society, so it is no wonder that students often respond to, and are more interested in, lessons that include technology. Incorporating game-based learning into lesson plans can help engage students, thereby increasing the likelihood of attaining learning goals and meeting standards. Game-based learning can also have advantages in particular areas, such as preliteracy skills like phonemic or phonological awareness. Technology enables discrete presentations of phonemes (the sounds of a language), which are especially important for phonemic awareness tasks, yet can be challenging for a teacher to present. 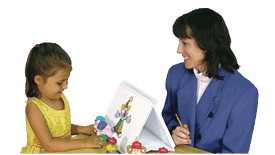 For example, when teaching students how to blend phonemes or sounds into words such as blending the sounds “b,” “a,” “t” to make the word “bat,” the teacher must present the individual sounds. It can be difficult to present some of the sounds of English in isolation, such as isolating the sound for “b” without making it sound like “buh.” However, it is important for children to hear and understand that the sound is “b,” not “buh” and “t,” not “tuh,” because the target word is “bat,” not “buh-a-tuh.” Technology can offer controlled sound presentations for students working with these discrete sounds for phonemic/phonological awareness. Children come to school with a wide range of pre-literacy experiences, and it is important to address these differences accordingly. Instead of planning an activity that must be adjusted for the least- and most-experienced students simultaneously, a game-based learning platform allows individual students or small groups to “play” at a level that encourages their strengths as well as strengthens their weaknesses. Another benefit of game-based learning is being able to set incremental increases in levels of difficulty. To advance to the next level and continue “playing,” students must master the associated skill. This ensures that students do not move ahead until they are ready. This allows a whole classroom of students with different skill levels to work at a pace that suits individual needs while also fostering increased achievement. Some platforms, like HearBuilder have administrative features for teachers to decide on which level students should begin instruction. If the first few levels are too easy for a particular student, educators can set the student’s program to skip those levels and start at a more advanced level, making sure that all students are getting the most out of the “game” and the time they spend using the program. Accountability is essential in education. Game-based learning platforms often track detailed student performance, making progress monitoring easy for educators. Reports may include details like an overall score, length of time spent on a task, and a list of questions the students answered incorrectly. This allows educators to identify which subject areas or skills are problematic for students. Game-based learning platforms work well in a variety of environments. In center-based learning, educators create separate stations for students to encourage independent learning. A game-based learning platform lets students log into the program with minimal or no supervision. Game-based programs are also a perfect fit for a blended learning classroom that already incorporates computer sessions into the daily schedule. Game-based learning is even ideal for home practice. Parents concerned about the “summer slide,” the regression of skills during summer break due to lack of instruction, can use game-based learning at home as part of a fun summer learning environment. Game-based learning has the potential to reinforce skills students are already learning in the classroom, but in a more engaging way than traditional worksheets and flashcards. Educators should take advantage of this new tool for both the students’ benefit as well as their own.